The formal announcement was made at Raipur at a meeting of the newly elected MLAs where he was elected leader of the Congress Legislature Party (CLP). Though the Congress was spoilt for choices – ranging from former Leader of the Opposition TS Singh Deo to Congress OBC wing chief and Lok Sabha MP Tamradhwaj Sahu to former union minister Charan Das Mahant – Congress President Rahul Gandhi eventually picked the 57-year-old OBC leader. “No matter how brilliant your mind or strategy, if you’re playing a solo game, you’ll always lose out to a team– Reid Hoffman,”Mr. Gandhi tweeted on Saturday quoting the LinkedIn co-founder and posted a photo of Congress Team Chhattisgarh. 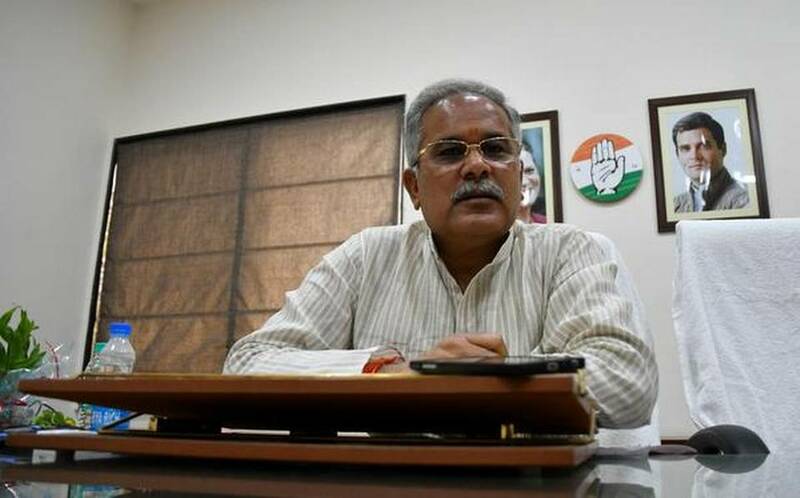 Though both Mr. Singh Deo and Mr. Sahu were contenders for the top post, the Congress rewarded Mr. Baghel for steering the party through some very difficult times after a deadly Naxal attack in 2013 wiped out the entire Congress leadership in Chhattisgarh. Mr. Baghel is also learnt to have impressed upon the central leadership not to buckle under pressure from Congress veteran Ajit Jogi that eventually led to his (Jogi’s) exit. And, many believe, this paved the way for a more united Congress taking on the BJP. All the three Congress governments in Madhya Pradesh, Chhattisgarh and Rajasthan will take oath on Monday, one after another and each swearing in will be a show of Opposition unity as leaders from other parties have been invited to attend.